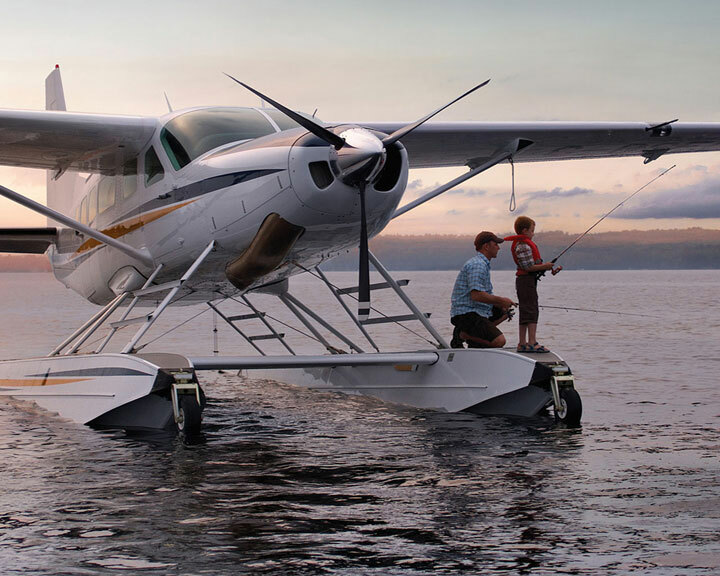 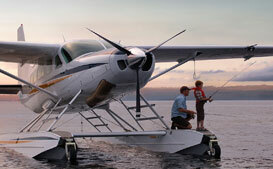 The Cessna Caravan Amphibian is the most modern, most sophisticated float plane in service today. 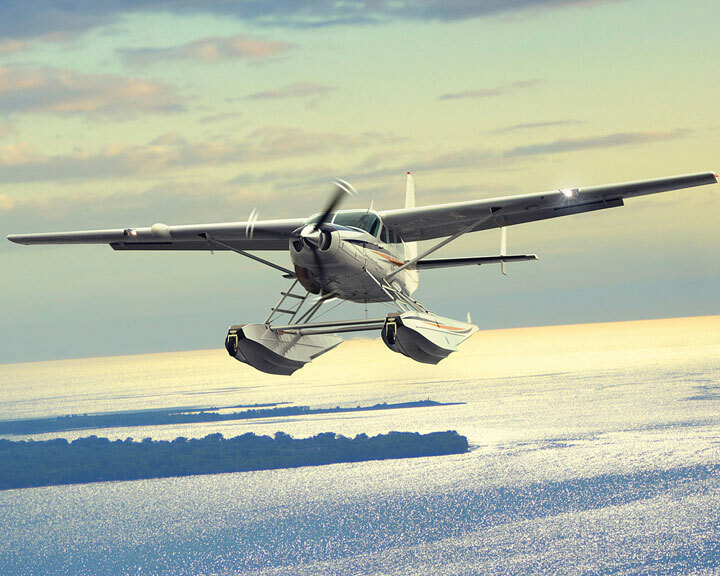 A Pratt & Whitney turbine engine, providing uninterrupted reliability and muscle for heavy loads, powers the Cessna Caravan. 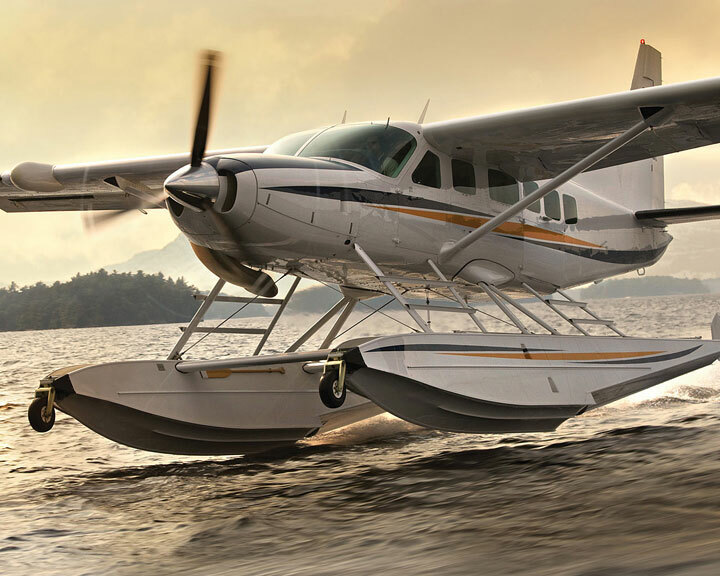 With the capability of landing on either land or water with up to nine passengers, the Caravan is far and above any other float plane on the market today. 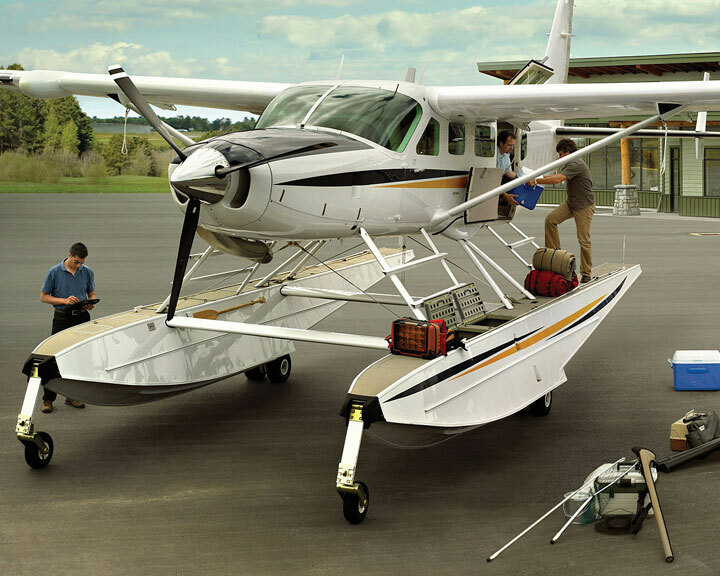 Comfort, flexibility, and most of all... FUN!